Idea is very important for any venture. Have you decided about your Mission, Vision and Values? The mission statement conveys the direction in which the organisation must walk to in the long run. Values are guide for the day-to-day working of everyone in the organisation. 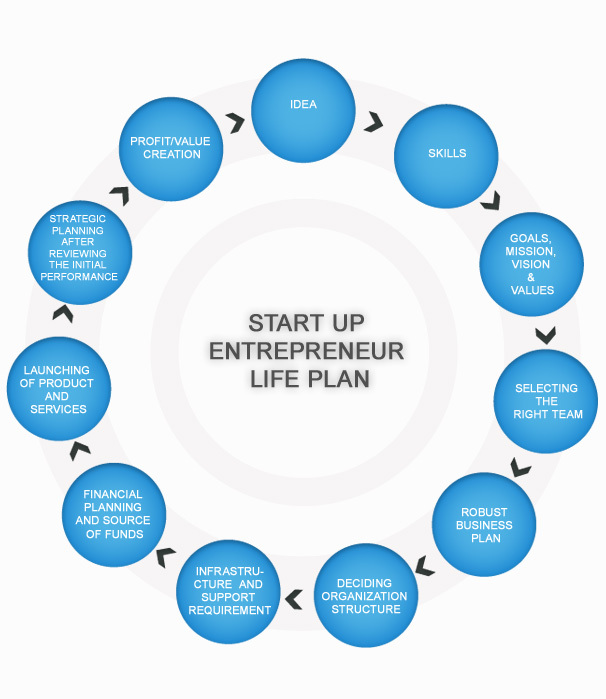 Business plan is essentially a strategy document with particular emphasis on the fiscal aspects of the business. It drills down details about at least three year income, expenses, profitability projections. After deciding organisation structure one needs to plan office setup, premises, office equipments, furniture fixtures, plant and machinery and hire people. What is the initial fund requirement for the project stage and subsequently on a monthly basis? What are the sources of funds? Planning for Angel Investor, Venture capital or private equity? What is the marketing strategy and budget? How the product will reach to the targeted customers?